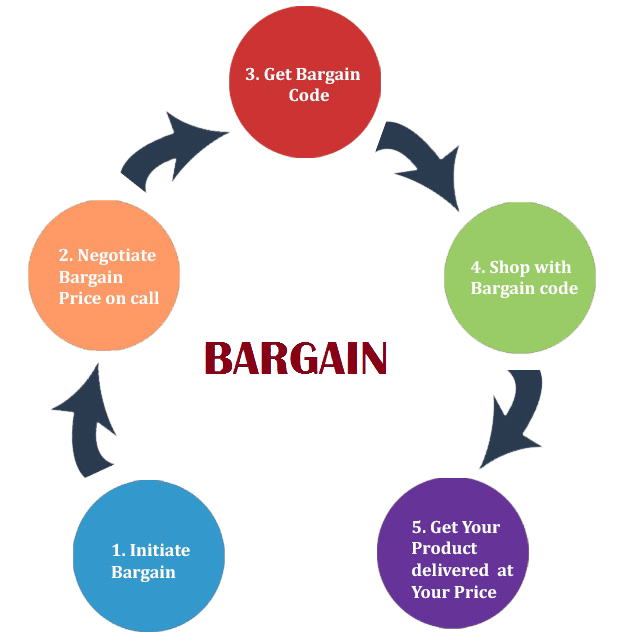 Bargaining is an age-old art of negotiating to get the product in best possible lowest price. Who wouldn’t like to get a best deal? Worldwide it is very common to do bargaining at retail store, but such facility is not available in online market. But MADESOS has come up with an excellent solution of ‘Bargain’ to help you get Your Product on Your best Price. Please note, bargaining does not mean compromising on quality of any product. It is just a negotiation of suitable price if possible. We believe in utmost customer satisfaction. 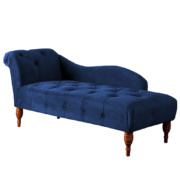 Ask nicely and fairly, and we will try to match the product at your dream price. Find Bargains here every day on all products except the products featured on the “Deal of the day” or on product(s) under exclusive offers. So come, lets discuss and avail the best price for your product!… Happy Bargaining ! 1.Once you decide the product to purchase, just click on the ‘Bargain’ button. One pop-up form will come. 2. Just fill your ‘Offer Price’ and ‘Mobile No’. Submit the details. Once you submit the above details, our customer care executive will give you a call within 24 hrs. Fairly discuss, negotiate the price. Once the bargain price is confirmed, you will get a message containing ‘Bargain Code’. Use this code while final checkout and avail your product at your bargain price. Enjoy Bargaining! For any further query and assistance call on our toll free no 1800 200 9119. How customer gets the best price using Bargain feature? Shipping Charges – Shipping charges varies for different locations, different states. 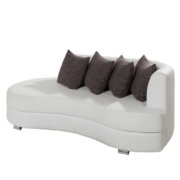 Therefore we try to match the price accordingly wherever possible. 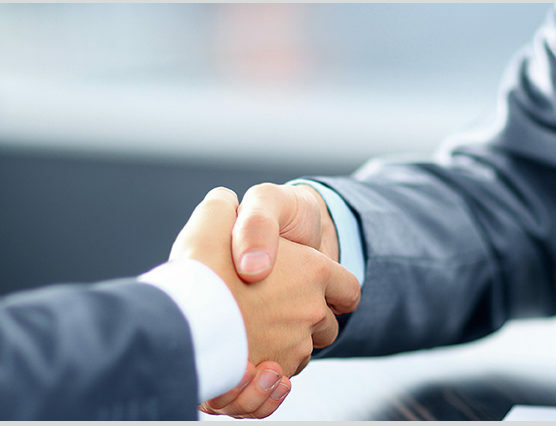 Profit Sharing – Company is delighted to share its some profit margin with its elite customers. Bulk Order- This excellent feature of bulk order lets user to get their product at their dream price. After initiating bargain process, you will get a call from our customer care executive. Negotiate your bargain price. We will try to match to your price. Once the bargain price negotiation is done, you will get a confirmation message containing system generated code i.e. ‘Bargain Code’ which will be valid up to 2 days. This code can be used only one time for the product for which bargain was initiated. 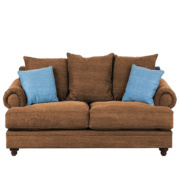 Use this code while checkout and get the product at your bargain price. All the terms, conditions and privacy policies remain same for the bargain feature too. Please note, like all other contents on the website, the Bargain concept and its features are owned by Madesos. The design, structure, interface, coordination and arrangement of content etc. are protected by copyright, patent and trademark laws, and different other property rights. Copy, republish, post, transmit, translate, reproduce or distribute any content without obtaining prior necessary authorization from Madeos will lead to legal action. 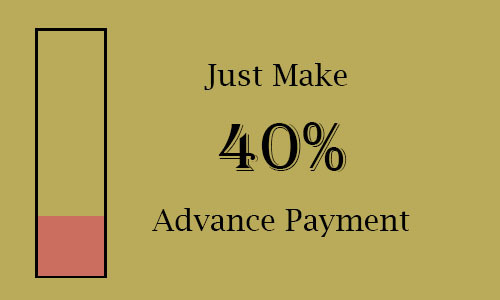 As per company policy, Madesos reserves all rights to update prices of any product(s) anytime without prior intimation. How do MADESOS process your BARGAIN order? 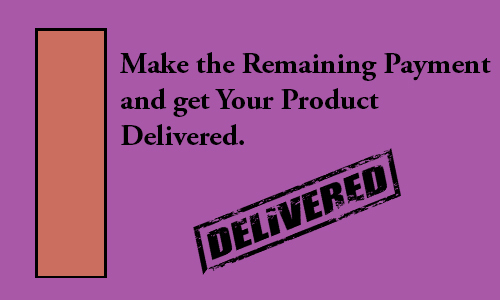 You don’t have to pay 100% until you see your product manufactured completely. 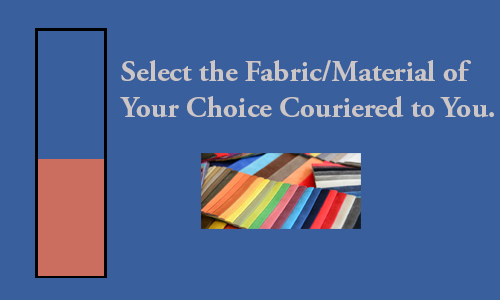 After your advance payment we will courier Fabric/Material samples to you. Decide the right fabric of your choice after practical feel of it. Photos/videos of your product will be shared with you before delivery. Check all is perfect with your product or still needs some customization. 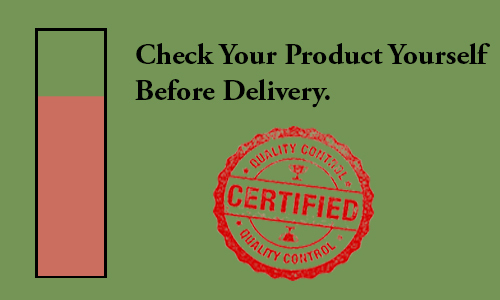 After receiving the remaining payment, we will dispatch your order within 24 hours.